Jenny Allen is a certified Patterson Technology Advisor, has extensive experience in dental practice management and has been an Eaglesoft trainer for more than six years. She lives with her family in Portland, Oregon, and is responsible for training the field technology advisors in her three western regions. As a skilled communicator, Ms. Allen has been lecturing to dental groups and speaking at state dental shows on various topics for the past several years. In addition to her lectures, Ms. Allen also conducts onsite trainings and webinars for Patterson employees and customers. How Truthful Is Your Data? 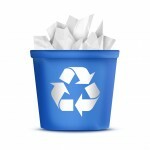 Going paperless? Put these advanced SmartDoc features to work! 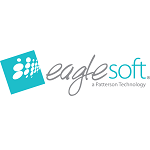 Eaglesoft Tip of the Month – What Is the Credit Distribution Audit Trail?